Wooden is a down-to-earth design that strives to bring in fun pictorial elements without abandoning its clean and professional roots. This theme comes widget ready, and includes custom thumbnail images, featured articles, and a custom index loop that will transform your blog into a multifaceted website. Designing and organizing your posts has never been easier. With our large collection of shortcodes you can create beautiful and complex layouts with ease, greatly improving the functionality and variety of your content. 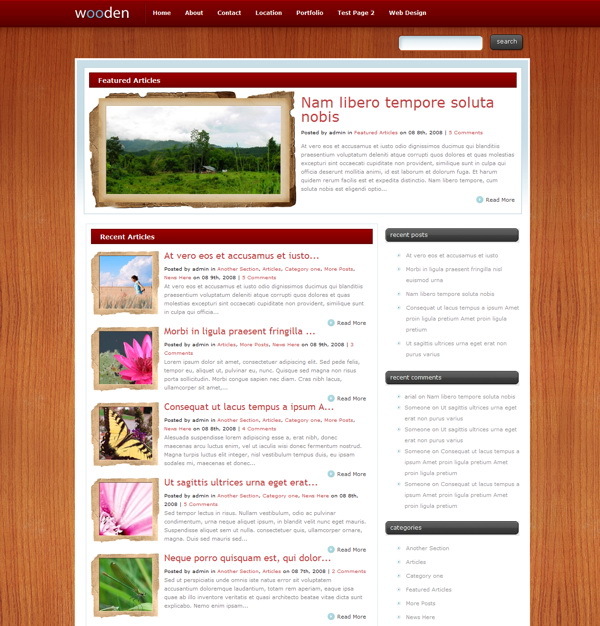 This theme has been localized for easy translation. Using the theme’s MO and PO files, you can quickly translate the design without having to hunt through the theme’s PHP files to change each word.